In order to prevent people from joining the demonstrators and their march toward the governorate, the repressive forces blocked Jay Street and Erisson Crossing by putting obstacles and water cannons,. With the rise of slogans, one of the police chiefs threatened the protesters and said that any gathering of more than two people was illegal and the offenders would be severely encountered legally. The repressive forces fired in the air, raided the crowd, beat them and arrested 30 people. Two female protesters were severely beaten. Saturday evening, young people and courageous farmers continued their protests, and in spite of the intensive presence of repressive forces, they gathered at the Khorasgan Square again. They chanted: "We are women and men of fight, we fight for water rights; We fight, we die, we get our water share back! Farmer dies, does not accept humiliation; Arrested farmer must be freed!" At the same time, Varzaneh farmers brought down ten power poles in Varzaneh-Na’in road, used for pumping Zayandehrood water. Tabatabaee Nejad, a representative of Khamenei had said in Friday prayer show,: "Those who use water as an excuse to demonstrate... are seditionists, and farmers must separate their paths from these groups ... Consecutive gatherings and slogans of people show they are outrageous, and they are after sedition and chaos ... The demand for water for agriculture in the present conditions is an impossible and illogical demand ... I declare from today on that I will no longer give them the right". He threatened with blatant hooliganism that in the summer, the people of Isfahan would not have any drinking water either. On Friday night, farmers in the village of Shatur confronted with a special unit bus and broke the glasses of the carrying bus with rock. The mercenaries fled from the scene by bus.  The Iranian Resistance salutes the risen farmers and calls on the people of Isfahan, especially the youth, to support the fair demands of the protesters, and calls on the international human rights community to take immediate and effective measures to release the detainees, especially those arrested in recent days.